For the last installation of the Snail Mail Collective hosted by Lost in Travels and The Nectar Collective, I was fortunately paired with D'Ann from Mismatched Simplicity. I got to learn a lot about D'Ann and she was very friendly and overall a great pen pal to have. She is from Texas, she's a newlywed and over the Summer she got to spend 3 months traveling Europe! We seem to have a lot in common and she even shared that her in-laws recently got the cutest French Bulldog that looks a lot like my Louis! And, I just noticed that she got a new albino hedgehog as a pet. So many similarities and she is so freaking nice! The gifts she sent me were awesome! I've been trying to become a tea person so I am excited to try the new teas she sent me. 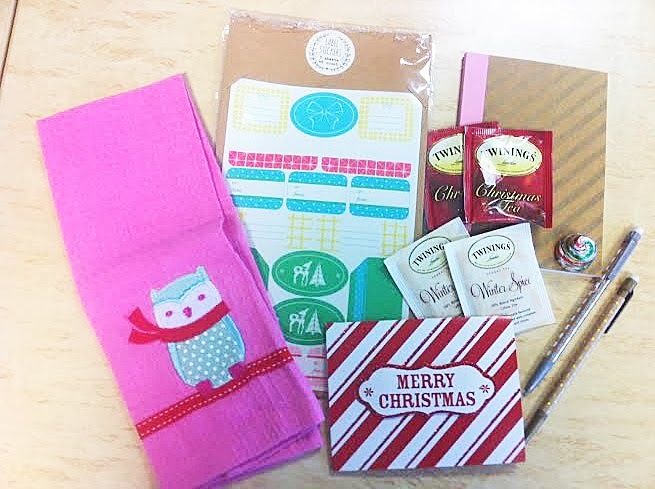 I got a cute notebook, pencils, a decorative owl towel and some cute present tags! I got her a German incense smoker with incense, a postcard from my trip to the Heidelberg Castle and a gluckschwein which is a little metal pig that stands for good luck in Germany. Hope she likes it! Stop by and check out here blog!